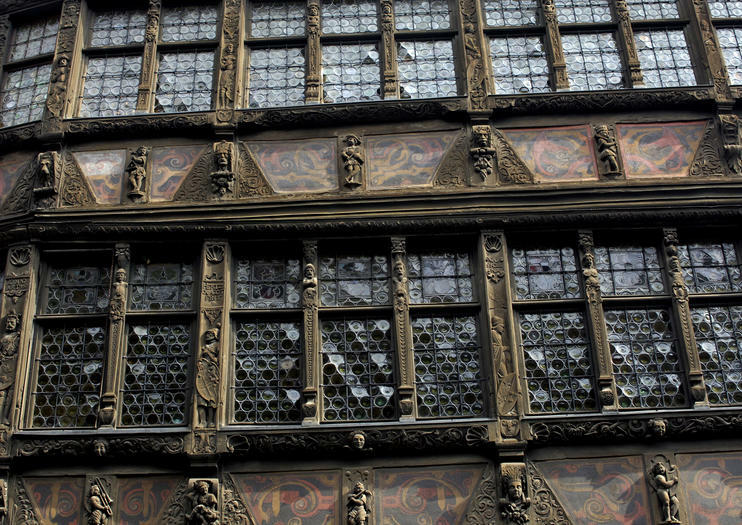 One of Strasbourg’s oldest and most famous buildings, the Maison Kammerzell (Kammerzell House) is a remarkably preserved example of medieval architecture, and its traditional timber framing and ornate carvings make it a popular subject of tourist photographs. Although originally built in 1427, the house owes much of its modern-day appearance to renovations undertaken in the 16th. It also takes its name from its 19th-century owner, grocer Philippe Kammerzell. Today, the Kammerzell House is home to a period-style hotel and restaurant, and makes an atmospheric dining venue, with its authentic décor including vaulted ceilings, arched stained-glass windows and a series of elaborate frescos by early 20th-century painter Leo Schnug.